China announced it will raise its reserve requirement ratio on some foreign exchange forwards. The Chinese yuan has slid to its lowest level in more than a year. Watch the yuan trade in real time here. As the yuan heads for its longest weekly losing streak since its market exchange rate began in 1994, China’s central bank announced Friday it will raise the amount of cash required to set aside when buying dollars through currency forwards. The People’s Bank of China will raise its reserve requirement ratio to 20% on some foreign currency forward contracts, it said in a statement. The central bank removed the requirement completely last September after the yuan saw its largest two-week appreciation in nearly a decade. 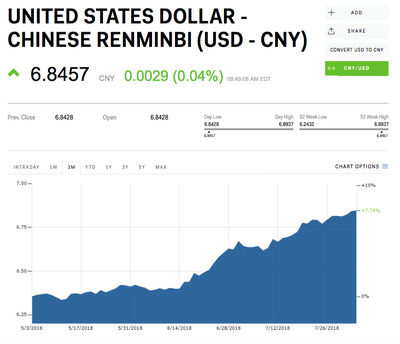 The move will essentially make it more expensive to short the yuan, which has consistently weakened in recent months. It has shed more than 7% versus the dollar since June, bringing it to a 15-month low earlier Friday. 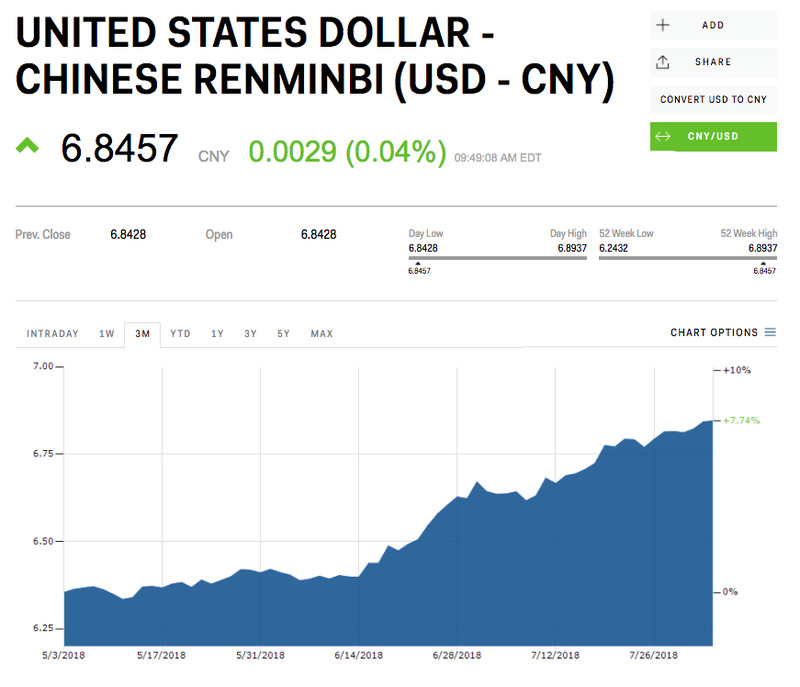 Amid an ongoing trade war between Beijing and Washington, the weakening has raised questions about how comfortable Beijing is with letting the currency fall and drawn comparisons to 2015 when a sudden yuan devaluation roiled global markets. The government announced last month it would pursue tax cuts and other expansionary measures, spurring expectations for loosening monetary policy. It has cut its reserve requirement ratio, or the amount of money commercial banks have to store, three times this year.